Today, IDW Games announced asmall-box expansion for the hotly anticipated Machi Koro card game. 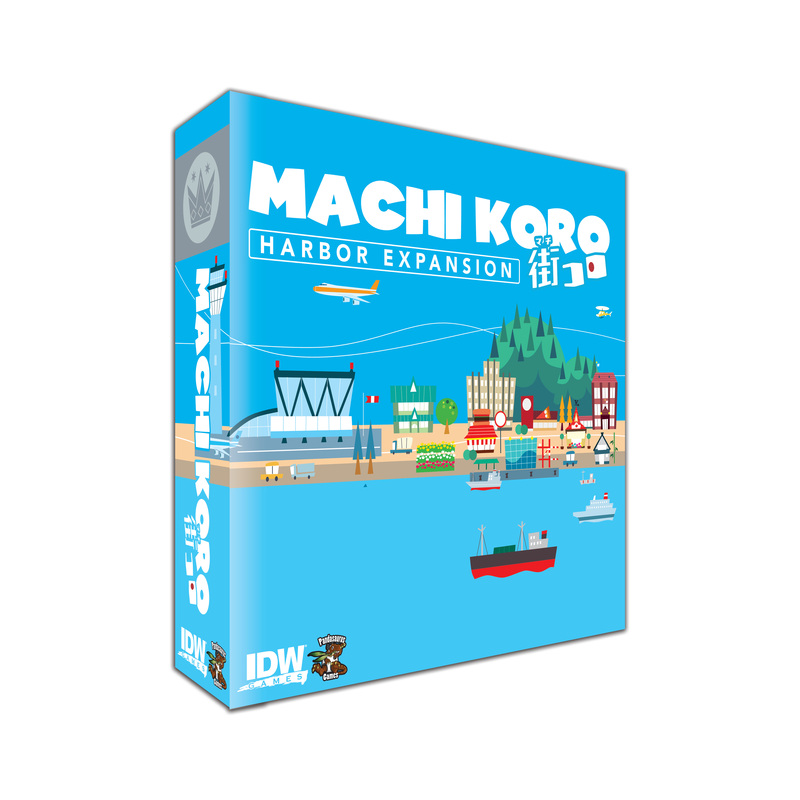 Machi Koro: The Harbor Expansion will include 10 new establishments, one new starting establishment, two new landmarks (82 cards total), and the ability to play Machi Koro with up to five players. Machi Koro will hit shelves this July, and the expansion will follow before Christmas. This is the second major announcement from IDW Games this month regarding Machi Koro. At the beginning of May, it was announced that five copies of an exclusive pre-order card would be included in each game headed to the Hobby Market. With today’s expansion announcement, it becomes clear that the exclusive pre-order card will be compatible with the new Machi Koro: Harbor Expansion. The expansion will offer players new game mechanics and a variant play option that changes which resources are available for purchase at the start of each game. This first expansion not only adds the ability to bring a fifth player to the table for your Machi Korosessions, there’s also big changes to the strategy as players will be working to complete six landmarks instead of the four required to win the base game. Further changing the landscape ofMachi Koro, the expansion changes how each game begins, as only 10 types of establishments will hit the table for any one game. This move should add variety to an already incredibly re-playable game. The pre-order exclusive card offer ends on May 28th, so fans are encouraged to head to their friendly local game shop and put their order in today!